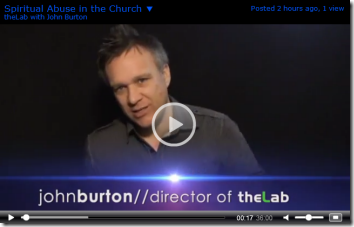 Watch a BRAND NEW XPmedia video on spiritual abuse and why NOT to leave a church! 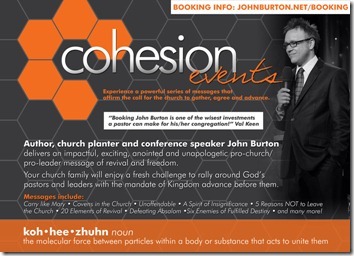 If you’d like to book me for a COHESION EVENT where I teach on the content of this video, go here: www.johnburton.net/booking. 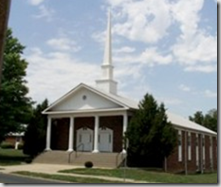 People are leaving or changing churches at a record pace—when should we NOT leave a church? Unity around the mission of the church is something Satan cannot risk. The moment people lock arms, take their positions and unify with the Great Commission in front of them, it’s over. He’s done. Genesis 11:4-8 (ESV) 4 Then they said, “Come, let us build ourselves a city and a tower with its top in the heavens, and let us make a name for ourselves, lest we be dispersed over the face of the whole earth.” 5 And the LORD came down to see the city and the tower, which the children of man had built. 6 And the LORD said, “Behold, they are one people, and they have all one language, and this is only the beginning of what they will do. And nothing that they propose to do will now be impossible for them. 7 Come, let us go down and there confuse their language, so that they may not understand one another’s speech.” 8 So the LORD dispersed them from there over the face of all the earth, and they left off building the city. The unity driven plan, as impossible as it seemed, was on track to succeed—so God dealt a blow to what? Unity. It worked. The people scattered. Now, in an attempt to turn the tables on God as he is building his Kingdom through unified people, Satan is attempting to scatter the church. It’s working. The church is at risk. A spirit of independence is convincing Christians that it’s time to take control of their lives and forsake the call to gather under leaders within the structure of the church. We must repent, and we must return to position and get ready to move as the alarm sounds. While there are (rare) times to move from one church to another, I want to share five reasons NOT to leave. When you don’t fit in. My three sons and one daughter would never leave the Burton family if they struggled to fit in, if they were misunderstood or if they were having a bad season of life. My wife wouldn’t either, nor would I. If we see the church as a part of the service industry like McDonald’s or Wal-Mart we will end up leaving if we don’t feel welcomed or served. However, God plants us in a covenant family, not a shopping center. What most people really mean when they say, “I don’t fit in at this church,” is that they aren’t enjoying themselves. Possibly, they feel rejected. I find it disturbing when rejection causes people to leave a church when rejection is what propelled Jesus to die and launch the church. Remember, the church isn’t to be there for us as much as we are to be there for the church. The mission of the church is demanding and not always enjoyable and we must be in position ready to work. I guarantee anybody who approaches leadership and offers to serve in the nursery or by cleaning the church would absolutely fit in. Their serving heart makes a place for them. Acts 4:11 (ESV) 11 This Jesus is the stone that was rejected by you, the builders, which has become the cornerstone. Luke 17:25 (ESV) 25 But first he must suffer many things and be rejected by this generation. When its easier for you to connect with God elsewhere. I know this may be a shock, but the primary purpose of the church isn’t to make it easy for you to connect with God. If we understand this, a million arguments against staying at your church will instantly disappear. It’s our job, individually, to develop intimacy with Jesus. If we are dependent on a pastor, worship leader or others to nurture our relationship with Jesus, we’re in big trouble. We should never arrive at church empty. We should be full of God and ready to pour out. If its easier for us to encounter God in our home or with a small group of friends, then great! That’s the way it should be! Then, take fire that you’ve cultivated to the critical corporate gathering and burn hot. Serve well. Get into position, lock arms, serve the leaders and advance the mission. If we focus on personal edification and connecting with God as the primary purpose of the church, we can quickly forget the many additional needs that we have: Discipleship, challenge, discipline, accountability, maturing, giving, serving, and on and on. Acts 14:21-22 (ESV) 21 When they had preached the gospel to that city and had made many disciples, they returned to Lystra and to Iconium and to Antioch, 22 strengthening the souls of the disciples, encouraging them to continue in the faith, and saying that through many tribulations we must enter the kingdom of God. The leaders aren’t doing things the way most people think they should. Many people believe leaders should make it easy for people to follow them. I disagree. 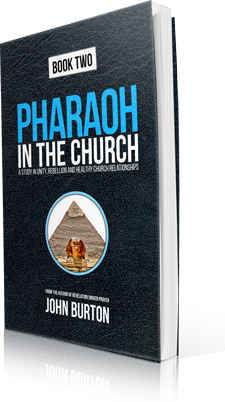 Church leaders are mandated to lead people into some of the most challenging, risky and costly missions the world has ever known. People should actually make it easy for church leaders to lead them. People made it hard for Moses to lead them into the Promised Land and they died. They made it easy for Joshua to do the same, and they dominated. The demand of the people can be so strong sometimes that pastors and leaders forsake their mission. They end up pleasing the people instead of God. Check this out. Jesus had just identified Peter as the church and made it clear that the gates of Hell would not prevail. Matthew 16:18 (ESV) 18 And I tell you, you are Peter, and on this rock I will build my church, and the gates of hell shall not prevail against it. Peter (the church) was mindful of the things of man, not the things of God. Wow. The pressure of the people to steer the church in a certain direction can result in heeding their demands instead of the inconvenient and extreme mandate of the mission. Don’t be one of those people. When another church has better programs for you and your family. We should never choose a church based on what we can get out of it. We are actually assigned by God himself to serve and build it. When we expect to gain from the church ahead of sacrifice, we are embracing the same spirit that killed Jesus. The spirit of religion wanted to use Jesus for personal gain. Consider the money changers. Right after the crowds were ‘worshiping’ Jesus by shouting Hosanna (which actually means, “save us now,”) Jesus dealt with that spirit. The crowds wanted Jesus to save them, to focus on them, to give them what they demanded. Then, the money changers, driven by the same spirit of religion attempted to use the church for personal gain. The sin of the money changers? They expected to leave the temple (the church) with more than they entered with. The used the temple for personal gain. We see this same spirit in churches around the world. The expectation is to leave the temple with less than we enter with. We bring a sacrifice. An offering. We serve. We give. We place no demands on the place of sacrifice, but instead honor God through the sacrifice of intercession for the nations. 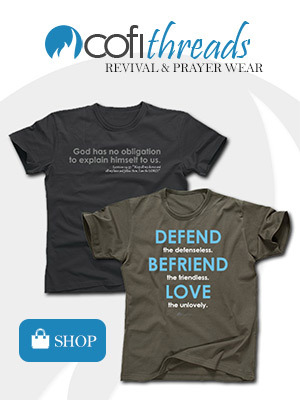 Prayer is the primary purpose of the church, and the church needs you to join in that mission. When God tells you to. OK, I’m sure you are awake now! Have you ever played the God card? As a leader I’ve heard many times, usually through the grapevine, that, “God told so and so to move to another church.” Really? That’s odd. I was entrusted as their leader, which is a very serious position, and God just forgot to tell me about this? He left me out of the loop? Maybe Hebrews 13:17 isn’t what we think it is? The church I’m leading isn’t important enough for people to honor the mission? I hope you are getting the point. We are called to submit to authority—even ungodly authority like judges, elected officials and our bosses at work. Certainly it makes sense that God would include our godly authority in a decision making process as important as leaving one family and one mission for another. The point is this—God wouldn’t just tell you to leave without your leader being involved in the process. In fact, can I just be blunt? It’s extremely disrespectful, presumptuous, rude and self-serving to abdicate your responsibility in your current church by leaving without honoring the authority in your life. Your pastor has every right to participate with you in your process. 1 Thessalonians 5:12-13 (ESV) 12 We ask you, brothers, to respect those who labor among you and are over you in the Lord and admonish you, 13 and to esteem them very highly in love because of their work. Be at peace among yourselves.